Just like Masonry Chimneys, Brick or Masonry Parapet Walls rise above the roof line, and are part of your overall roofing system. Parapet walls are one of the most common elements of architecture. It crowns walls on great majority on flat roof buildings. Due to its exposure to harsh weather parapet wall requires attention and proper maintenance. 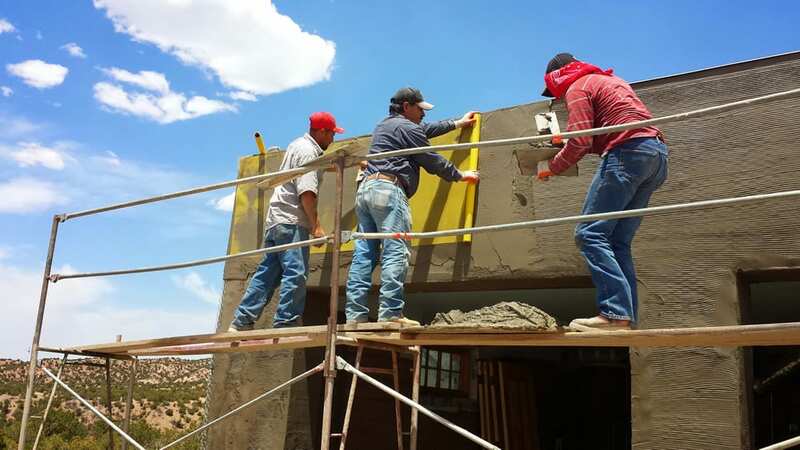 Parapet Walls are made up of multiple courses, typically only the outer courses of masonry need rebuilding, and then only on certain wall areas. The most common materials used to crown parapet walls are clay and limestone copings. Copings are placed on a top of masonry walls to prevent moisture penetration. Because parapet walls can be difficult to see or access, most owners, administrators and property managers do not realize their parapet walls are in need of service. Majority of the problems with tops of masonry walls, commonly called “parapets”, start due to deteriorated, defective or improperly installed copings. If copings are not kept in good condition they allow water to penetrate walls, causing mortar washouts, brick spalling and leaks into living areas of the building. You often see entire parapet wall crumbling, because maintenance work on copings was not done in a timely and proper fashion. Regardless of proper copings parapet walls are exposed to changing weather conditions. Water penetration causes efflorescence, spalling and structural cracks. Contact us for a Free Inspection and Estimate TODAY!